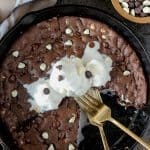 Skillet Chocolate Chip Cookie – An easy deep dish chocolate skillet cookie loaded with semisweet and white chocolate chips. 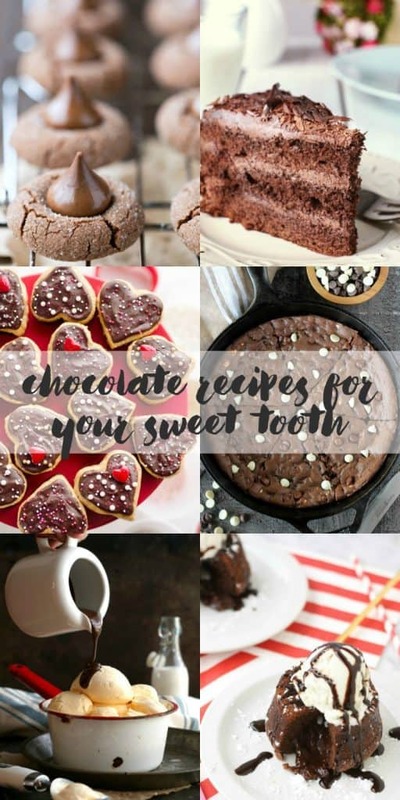 Crisp edges, a gooey, fudgy center, and chocolate in every single bite! It’s a good thing my New Year’s resolution was to eat more chocolate. Kidding, of course. I’ve spent the better part of January eating healthy, drinking plenty of water, and exercising frequently (blah)… but the time has come to indulge. Balance and moderation in all things. Last year I shared my first skillet cookie, a candy bar stuffed cookie (yes, it’s as amazing as it sounds). 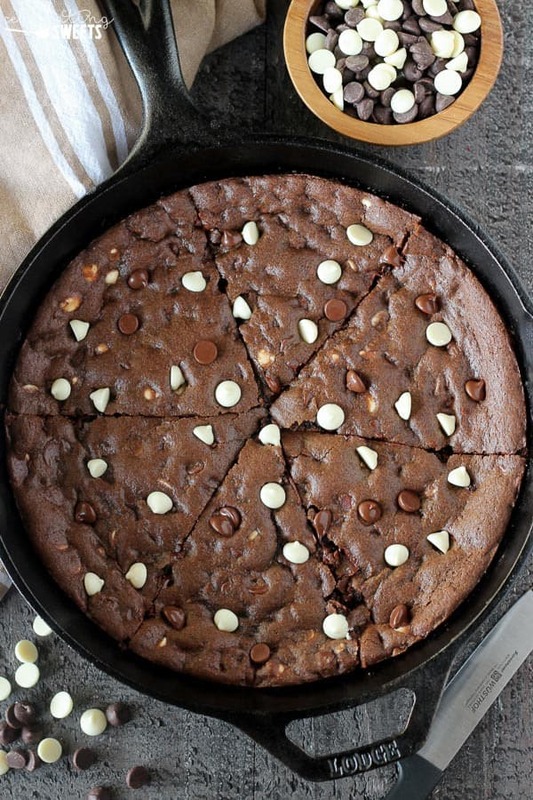 I love the idea of a giant skillet cookie with crisp edges and a gooey center. Eaten while it’s still warm and covered with scoops of vanilla ice cream that slooooowly melt into the cookie, it’s pure bliss! For this version I went all in with chocolate. 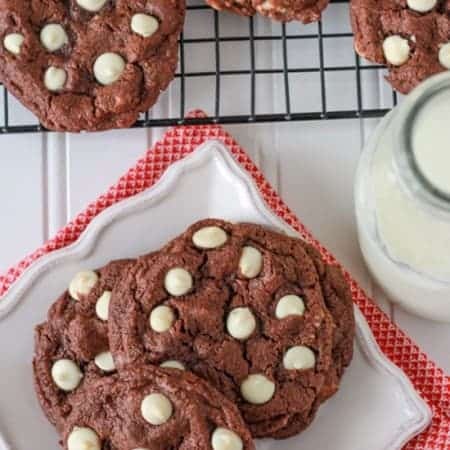 This is a relentlessly chocolaty cookie; a chocolate cookie base loaded with both semisweet and white chocolate chips. 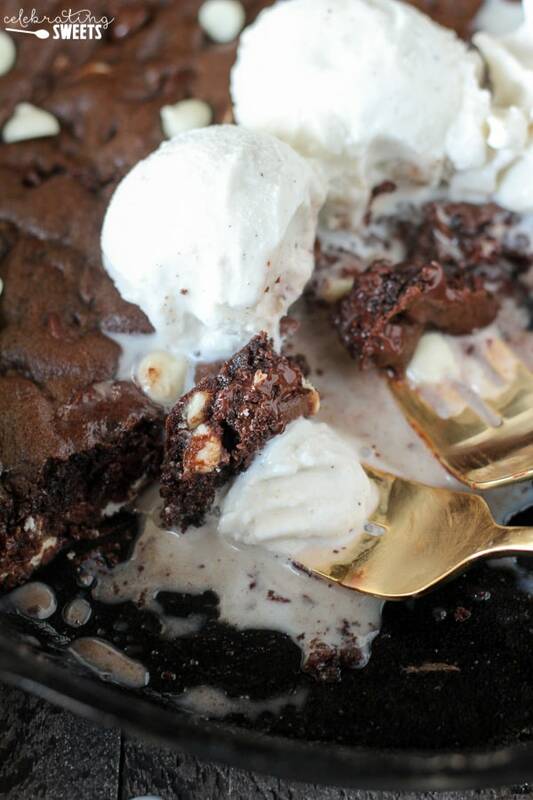 Hence the name Triple Chocolate Skillet Cookie. The dough comes together in minutes, which means this recipe can be made at the drop of a hat. That’s a dangerously good (er, bad) thing. Although this might slightly resemble a brownie, it is definitely closer in flavor and texture to a cookie. The edges have a slight crispness and the center is fudgy from all those melted chocolate chips. This is a chocolate lover’s paradise. 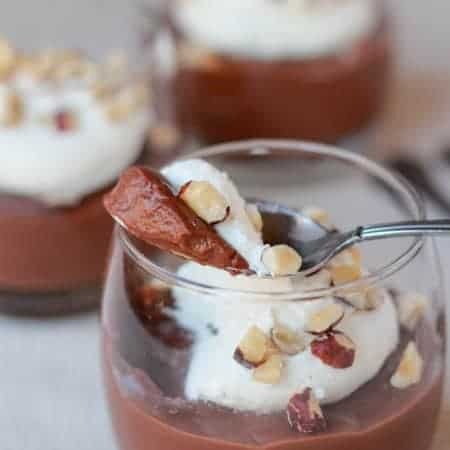 Check out these other chocolate recipes from my friends. 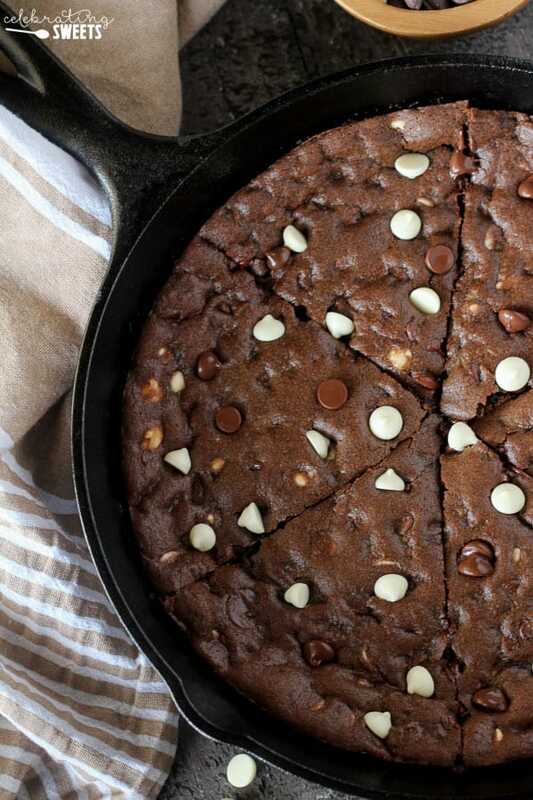 An easy deep dish chocolate skillet cookie loaded with semisweet and white chocolate chips. 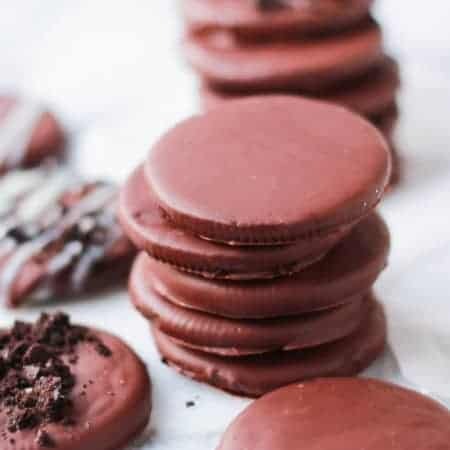 Crisp edges, a gooey, fudgy center, and chocolate in every single bite! Preheat oven to 350°F degrees. In a large bowl, using a hand mixer or stand mixer, beat butter and sugar until combined. Add egg and vanilla and mix until combined. Add flour, cocoa, baking soda, and salt, and mix until combined. By hand, stir in all but 1 tablespoon semisweet and white chocolate chips (reserve 1 tablespoon for garnish). Transfer batter to a greased 10-inch ovenproof skillet (I used cast iron). Smooth the top. Bake until just set in center and pulling away from sides, 20 to 22 minutes (the center should look slightly under baked). Immediately after removing from the oven, press the remaining 1 tablespoon of chocolate chips gently into the cookie (just to make it look pretty). Serve warm right from the skillet, or allow to cool to cut cleaner slices. 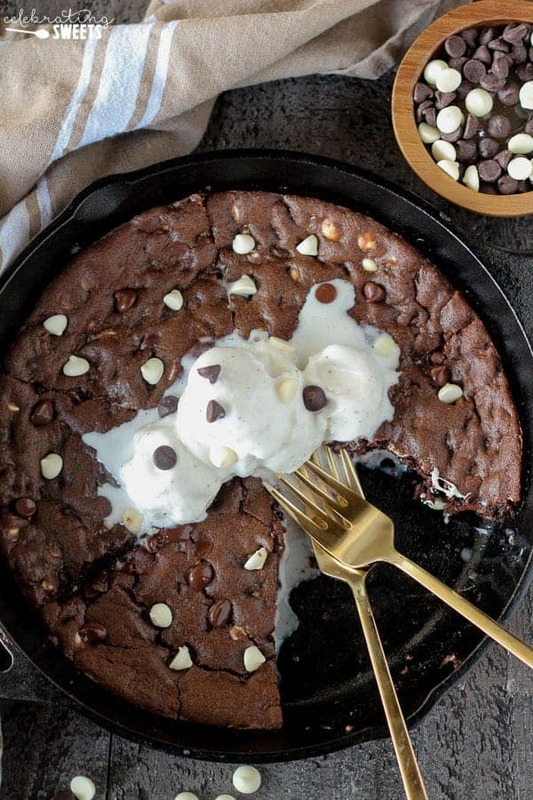 Yet another genius skillet cookie! I love the candy bar one but I think this one is my new favorite! Wow! I’d eat this right out of the skillet! Love the melting ice cream on top. YUM! Triple chocolate? Yes! I am sold on this. This might have to be a Sunday afternoon treat. Wow this looks AMAZING! It would be pretty hard for me to not eat the whole thing myself! I am a big fan of skillet desserts, and so are my kids! This is something COMPLETELY different from what we’ve made before. I can’t wait to try it! Chocolate all the way! Absolutely my kind of cookie recipe. I have a small cast iron skillet that I bought especially to make skillet cookies, but never got around making one yet. Definitely going to try this soon. Thanks, Sandhya! I hope you like it!